Bona Fides Property Team provides integrated services in the leasing and sales of commercial properties and luxury residential properties in Hong Kong. Our company is a well-structured and farsighted consulting company. With our comprehensive property database, we are committed to exceed your expectations with quality and value. Our goal is building and maintaining a long-term relationship with clients. We ensure that newcomers to Hong Kong experience a smooth transition into their new lives. We are professional and have in-depth understanding of the local property market to fulfill client’s needs. This means we would provide professional and outstanding services to our customers. We would carry forward our fine traditions and work in accordance with our professional altitude so as to reassure every honored client. Hong Kong Property Finders, The Expert Realtors! We are a bespoke agency specifically acting for the buyer and focus on finding Hong Kong property which match clients’ requirements. As we aim at customer-oriented, our customers are put in top priority. Thus, we have provided a tailor-made solution to many clients so as to satisfy their needs. We cater for the needs of buyers looking and finding a property in Hong Kong. About half of our searches are looking for flats in Central of Hong Kong. Having dealt with many transactions, we have vast experience of coping with the vagaries of leasehold properties in Hong Kong. When you buy a flat which is leasehold, you are actually buying the right to use the property for the specified period of time on the lease. In fact, you are not buying the building, it is just the apartment as stated in the lease. This is the norm in Hong Kong and therefore the clients have nothing to worry about as long as you have good guidance and advice. After you have decided on the chosen area, we can surely save your time by only taking about three months on property research and viewing the suitable properties. During registration, we will assess the types of property and all relevant requirements in details in order to give us the best opportunity of finding the ideal and most suitable property. 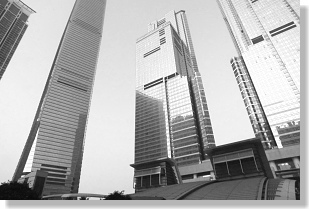 We have been involved with Hong Kong property for years. This gives us a wonderful insight into all aspects of negotiation. As professional negotiators are working only for you, they are giving you the best chance of negotiating the best price and terms whenever possible. We have found and successfully negotiated on many different types of property in Hong Kong. So, it is not hard for you to find a suitable property with reasonable price. Hong Kong property has a large variation in respect of price, quality of life, and chances of letting. All these factors will ultimately increase in capital value of the property you buy. One letter or number can make an enormous difference regarding the pricing of the Hong Kong property. The system of buying a property is steeped in history, etiquette and “doing things at the right time”. The system of transferring the ownership of a property from one person to another has evolved over hundreds of years. With our experience, you can rest assured that you will know exactly when things have to be done in order to secure your ideal and precious property. For your own reasons, you can buy a property in Hong Kong without public notifications. All the transactions and dealings related to our clients’ private are kept in high and strict confidential. We do not only help them find the ideal property, but will also keep a good relationship with clients by placing our loyalty with them but not with other third parties.